While working on the UI-refresh for Octopus 4.0, many pages were essentially a direct port to the new look-and-feel. But there were a few where we took the opportunity to re-think the design. One of these was the page to deploy a release. 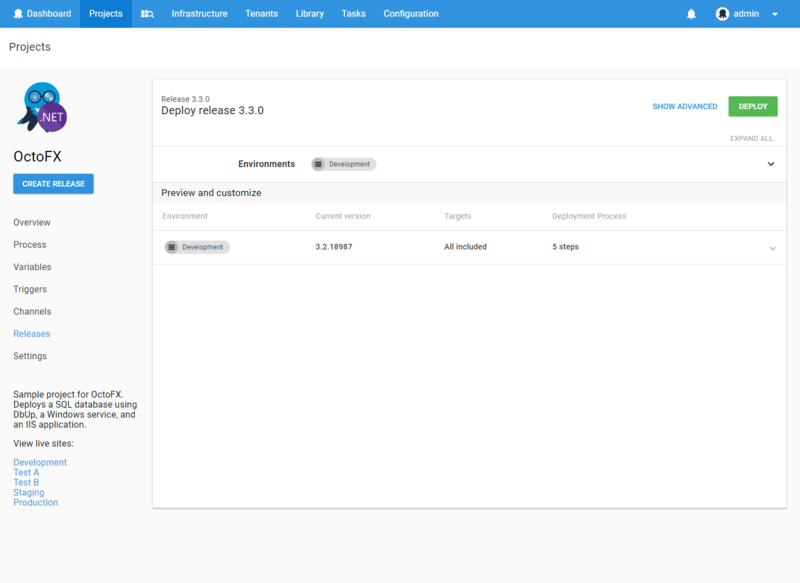 The existing page was originally created to deploy a release to a single environment. It was later extended to allow deploying to multiple environments. 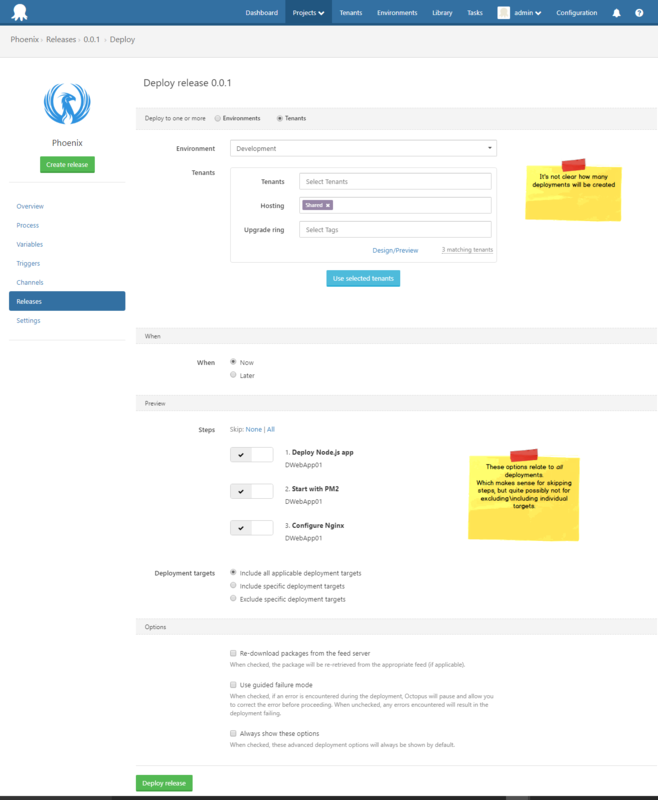 Then the multi-tenancy feature came along, and we bolted on the ability to create deployments for one or more tenants. If we're honest, it was overdue for a re-design. 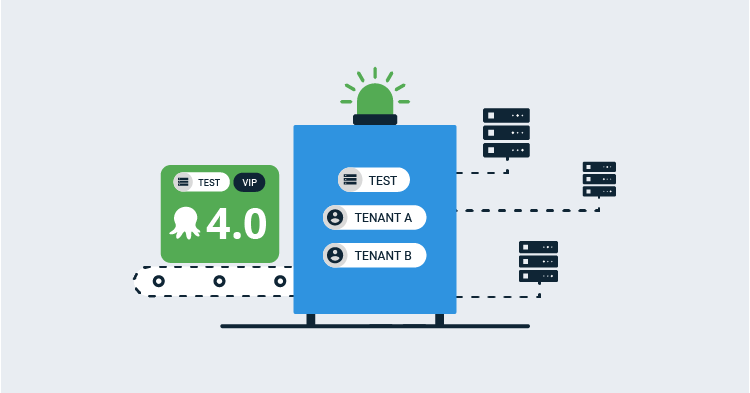 The most significant changes are seen when deploying a release to multiple environments or tenants. We conceptually split the page into two sections: the North and the South (OK, perhaps some of us were watching too much Game of Thrones at the time). In the image below, the Preview and Customize separator forms the Equator. 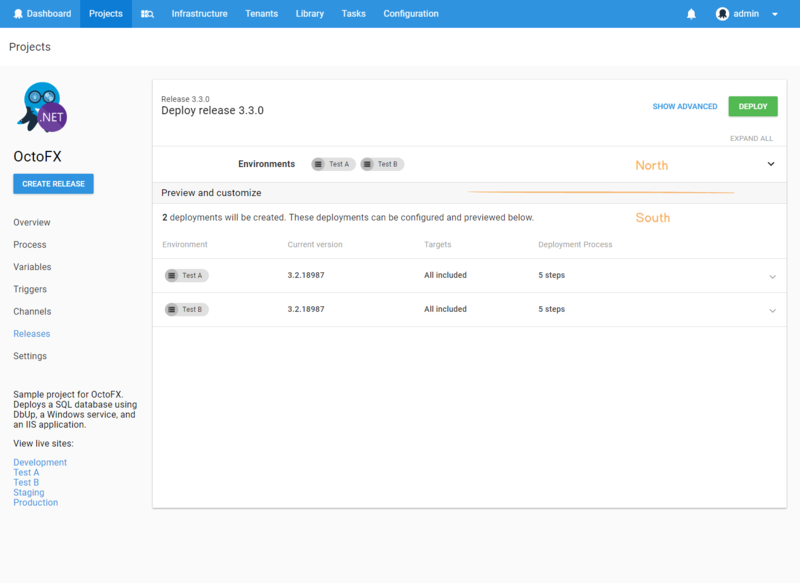 The North is where you select where the release will be deployed (Environments and Tenants). 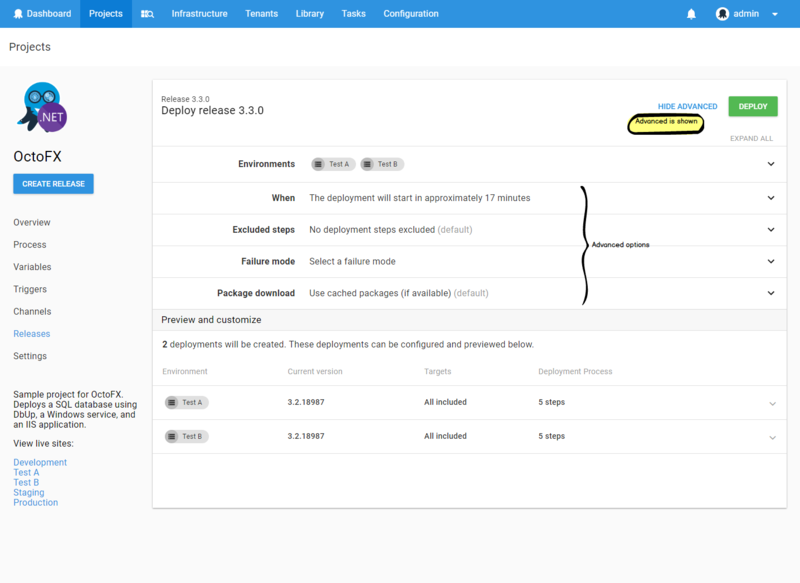 It also allows you to configure some options which apply to all the deployments that will be created. The South displays the deployments that will be created, and provides the ability for additional per-deployment configuration. In the North, you select the environments and tenants (if it is a multi-tenant project) you wish to deploy to. The South section hopefully clearly shows the deployments which will be created. This was something the existing design did not communicate effectively. This becomes particularly important when using a complex tenant-tag expression in the North. In this case, the South will evaluate the tag expression and display exactly which tenanted deployments will be created. 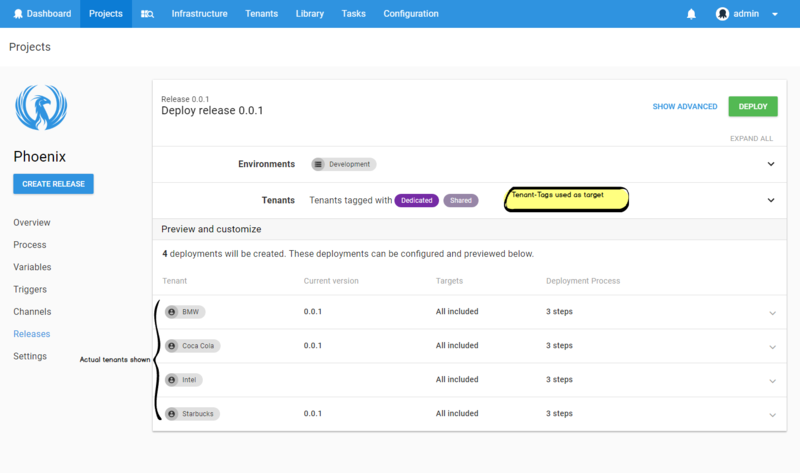 Expanding a deployment allows you to preview which deployment steps will be executed, and on which targets. 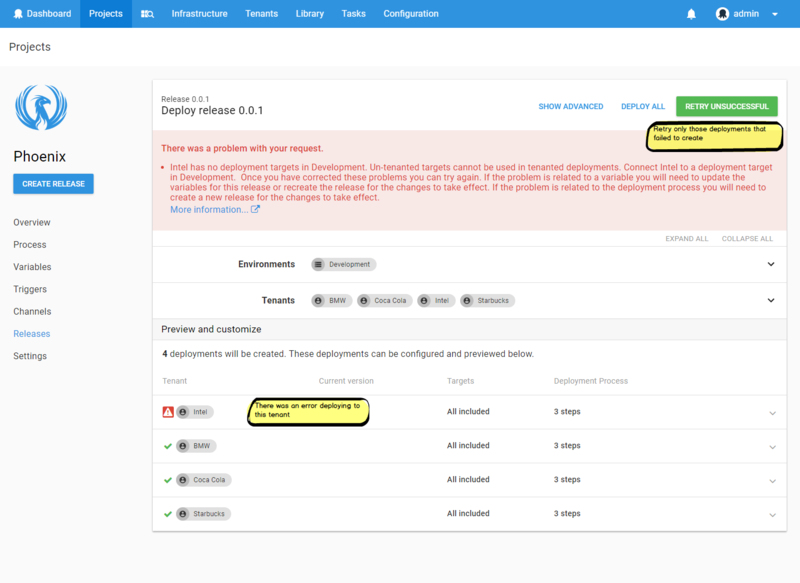 You can also include\exclude specific deployment targets here. Sometimes creating a deployment fails. You may not have any matching targets in an environment, or you may be missing a required variable. When deploying to many environments or tenants, and some deployments were successfully created while others failed, this left the user in an akward position. 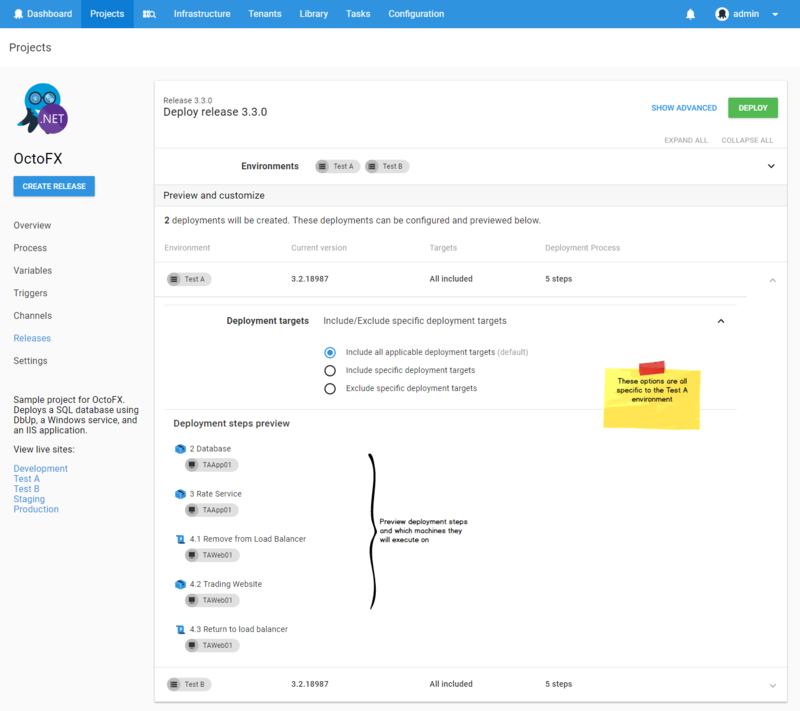 After resolving the errors, the deployment options needed to be reconfigured to ensure that the successfully created deployments were not redeployed. In the new version we have provided a Retry Unsuccessful button. For example, in the image below, the deployment to the Intel tenant failed to be created. Clicking Retry Unsuccessful will re-attempt for only that tenant (there is also a Deploy All button). Please tell us what you think about the new design. We'd especially love for you to leave a comment if you had issues with the previous version. Did we address them?